Facebook, on contrary to many beliefs is one of the best platforms to promote content…still. One great strategy to do this is the appropriate utilization of facebook ads. You can build your e-mail list for only $0.19 per subscriber. If your content is really of a high level, it can catch the interest of right audience and also can give you some valuable subscribers. You can also use facebook lookalike audience to promote your posts. This is a very impressive technique to help reducing your cost and yet get an outstanding outcome. First, you need to add facebook AD PIXEL in your website and then promote it in the best way possible. Once it receives few hundred visitors, make custom audience based on the information you get from those previous visitors. Then, on the basis of this custom audience you can create lookalike audience. Now your job is to promote your blog to the recently added people in the lookalike list. Sharing your blog in the targeted facebook groups can give you more traffic from facebook. Facebook groups give you the opportunity to communicate with the people from your industry and find some potential customers as well to promote your content too. One interesting way of content promotion can be swapping your facebook posts with the people who belong to your industry. You just need to collaborate with them in order to get more promotion for your content. You will share their posts and they will share yours! It’s a vice versa process!! 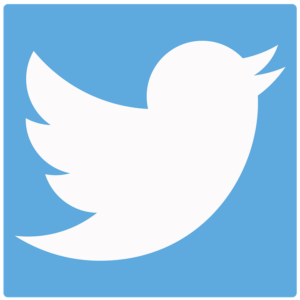 Twitter, which is a very powerful social platform, can be used to promote content and blog. This can be incredibly strong medium to reach out to people and get traffic to your post. You should remember the following tips at the time of content promotion on twitter. Use short and effective tweets. As twitter allows only 140 characters to publish, you should always try to use short yet effective sentences to get the desired result. Try to use keywords related to your post in some tweets. It will help the users to find your tweet faster. You can show a glimpse of your blog to the people. Post an interesting line or two in your tweets so that the people can get a fair idea about your blog. Never forget to include an engaging image with your tweets you are using to promote your blog. Hash tags are a brilliant way to expand your tweets. They help categorizing tweets which are made on that particular topic. People who are interested in a topic can find all the related tweets under the hash tags of that particular topic. Twitter mentions can be used in a smart way to promote your content indirectly. If your blog mentions some important and well known bloggers, customers or companies, you can mention them in your tweets with a link of the stated post. @mentions can also be used to thank regular commenters of your blog as well. If you give the link of the blog you are trying to promote, its best and suggested to give that in the middle of your post. In a recent study made by DanZaraella shows that 25% links posted on the actual tweet get better clickthrough rate. Ask your topic related questions to people. This will increase the engagement of the users with your tweet and eventually with the content you are trying to promote. Don’t ask any random question just to promote your blog. Ask interesting questions that grab peoples’ attention. Facebook and twitter can be used to promote content for your blog on social media but when it comes to business, very few can beat linked in. LinkedIn is arguably the best platform for blog promotion if the targeted audience is business oriented. The primary objective of LinkedIn is to enhance your personal network with professional people. Connect with your friends and family who you think would be interested in your blog. If you have a really great content, you can get higher ratings in LinkedIn. This medium decides the quality of the content on the basis of few factors like likes, shares and views and comments. If you can score high enough, LinkedIn can share your content on their pulse channel. You will find many targeted audience to be there in groups. Your job is to find out groups that are related to your topic and cater your content in front of them. But for that you need to do things in a right way. Here’s how.. At first, you need to find groups related to your niche and most importantly those groups which are active. Then whenever you have content worth promoting, you can share that with those groups. You can alternatively choose LinkedIn ad options for promoting your content. It can have a positive impact on your content promotion strategy because LinkedIn ads give you the option to target people by their job title, role, employer, skills etc. LinkedIn profiles often contain more specific , detailed and up-to date information about them than they share on social media like facebook and twitter. For many content promoters and marketers Google+ is still kind of a mystery. The truth is: Many businesses try this platform to promote their products but mostly gets failure because they don’t really know how to get the best out of Google+. 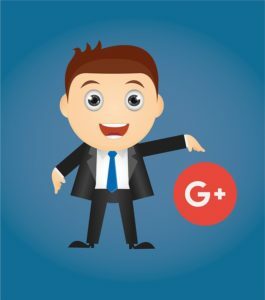 Here’s the right way: The very first obvious tact you might want to apply is to create a Google+ business page where you can add your business type, location and all other required information related to a professional business page. Make sure that you customize this page well as it will be the face of your content marketing strategy. Google+ communities are actually different from circles. This is more of like Facebook and LinkedIn groups. 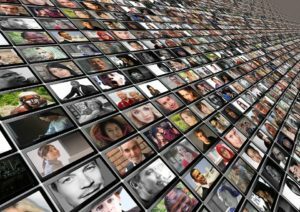 There are lots of Google+ communities but you’d like to make sure that you find out the one that directly relate to your topic. Comment on the updates you genuinely like and add them. This way, you can quickly build a list with decent number of people in it. Once you’ve established yourself upto a level, you can post the links of the content you want to promote. Hash tags are the new things introduced to Googl+. You can use these as a fantastic way to promote your content. Content creation is a tedious task indeed. You might have to work hard like a book writer to create unique and unmatched quality of content of your own. You would definitely like to promote that content on a platform that grabs the attention of most of the people who get online. And what could be a better way to do this other than Social media. But the point is….. Most of the people who try to promote their content somehow also know this fact. Whether they are doing it effectively or not, that is what the question is! You can get the most out of it only if you have great content to serve to the people who need it. Once you make sure that you do have that ‘relevant and best content’ then you can proceed to the next level of it. I.e. promoting that content through social media. Here’s the right way to this: If the names of neglected social media are to be mentioned then Pinterest comes first probably. Many content promoters don’t give much weight to Pinterest as a traffic pulling source. Which is a great mistake!! RJMetrics, an American data analysis company say that most of the ‘pins’ get ‘repins’it’s 80% if we go by data. Whereas very few tweets get retweet compared to that. Now the question is what to post on Pinterest? Well, you can post many things on Pinterest. You can post videos, info graphics anything as long as it is attractive and have the potential to grab peoples’ attention and somehow helps to promote your content. If you want to convert your Pinterest followers into your blog reader, first, you need to engage them with your pins. If you are able to do that, they’ll probably also might be interested to see what you write in your blogs. Try to maintain consistency with your pins. You can check out your followers’ pin to get new ideas about what you can post. If some new folks follow you on Pinterest, you can also follow them. Don’t forget to like, comment and repin your followers’ pins when you really find them to be great. You can repin the important people related to your industry and other good content that you think your followers will like. Now when you know the importance of sharing your blog post on social media in order to promote your content , it also should be remembered that the more number of time you will share it on social media the more higher are the chances that it will get more clicks. But be sure that the number of time mentioned here remain a legitimate number. Don’t spam. Also make sure that your actual posts/blogs contain social sharing buttons. It has been found that content with sharing buttons are more likely to be spread than the content without them. 6 Submit your content to popular sites like bizsugerreddit,inbound.org,growth hackers.com etc. Post something that is useful. Don’t be greedy. Don’t try to get everybody in to your blog post. Try to post something that will give something useful to the user, even if they are not interested in your blog. Posting the right thing is not the only important thing in reddit but finding the right subreddit is also a very important part. You should make sure that you find the right subreddit where your content will be accepted well. Tittle is the First thing a user look at. The tittle itself is the best opportunity for you to grab the user’s attention. So make sure that your title is attractive and to the point. If you still find it difficult to promote your blog through reddit, you can take the help of Reddit ads. You can give advertisement on almost any subreddit to get extra attention from the users. If your content is related and relevant to small businesses, bizsuger can be a perfect destination for you. Bizsuger is a social sharing, bookmarking and networking site which is ideal for small business owners. You can share your blogs, videos, articles and other content. It is a growing website. It is another site filled with information hungry people who are looking for anything useful. inbound.org is another content sharing site useful for content marketers. The primary idea of this site is letting users share useful posts on social marketing, SEO, content marketing etc. growth hackers.com is more or less similar to inbound.org with a basic difference which is people in this site are up to sharing mostly business related topic. If your content to be promoted is related to this, then you can expect a good amount of visitors. CNN, Mashable, times are some of the biggest and most respected media platforms. Promoting your content in these platforms is something nearly impossible. Right? NO… There is a distribution network called outbrain which is out there just to do that. With the help of outbrain you can promote your content with some of the largest media platforms of the web right now. They basically allow us to run pay per click or pay per view campaign for our content and they are in the leading position in this field. 8 Use expert round ups post to promote your content. An expert round up is basically a blog post featuring contributions from many experts. Usually a host blogger will raise an issue or topic for discussion and other experts in that field will try to contribute to that particular matter. Bloggers who do expert round up posts get many people who will share that post on their social media platform. Those who get featured in round up posts also get benefit from it in the form of extra exposure. The best thing you can do if you are a newcomer in this field is to contribute to communities that belong to your niche. 9. Know how to use fellow blogers,websites owners and content creators of the same industry to promote your own content. You can become a sensation in your blogging category overnight! There are people who are already very big names in the industry you belong to. And you can take their indirect help to promote your own content. Reach to them directly and inform them that you have a superb content, which can actually be useful for their readers as well. If they find your content worthy, they will definitely tell their readers to have a look at it. Influencer outreach is one of the most effective ways to promote your content. You can reach out commenters who had previously commented on your blog personally through e-mail. This can proved to be a good idea to build a loyal base of users. If you connect with them to some kind of personal level, they will keep coming back to your content and might also recommend to their known ones. Content marketing is one of the best and fastest growing trends for the people who want to be freelancers or entrepreneurs. Promoting your content is not an impossible kind of work provided you have the right content and you are promoting it in right way. No content promotion strategy will work if the content itself is not up to the mark; on the other hand, your hard work goes in vain if no one sees the content you created. You just have to create the right content and find right people to target using the appropriate medium and genuinely try to help them out with your content rather than just trying to promote your content.